In a possible departure from the Obama administration's drug war reversals and doublespeak, Attorney General Eric Holder announced today that some low-level, nonviolent drug offenders will no longer face long, mandatory minimum sentences in federal prisons. 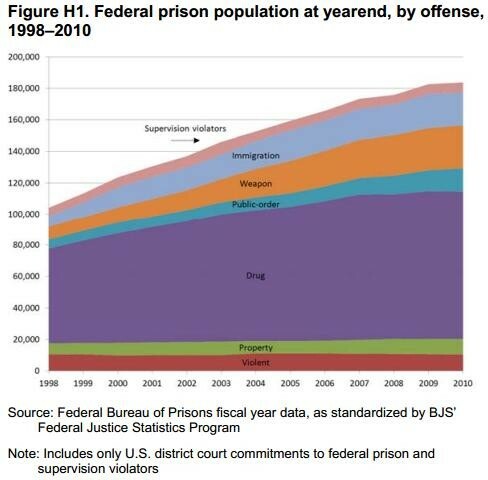 Speaking in front of the American Bar Association's House of Delegates in San Francisco, Holder was quoted as saying, "Too many Americans go to too many prisons for far too long, and for no truly good law enforcement reason." Effective immediately, Holder's plan will reduce sentences for drug offenses that aren't tied to large-scale organizations, gangs or cartels. The change is aimed in part at reducing the country's (and the state's) ballooning incarceration rate.